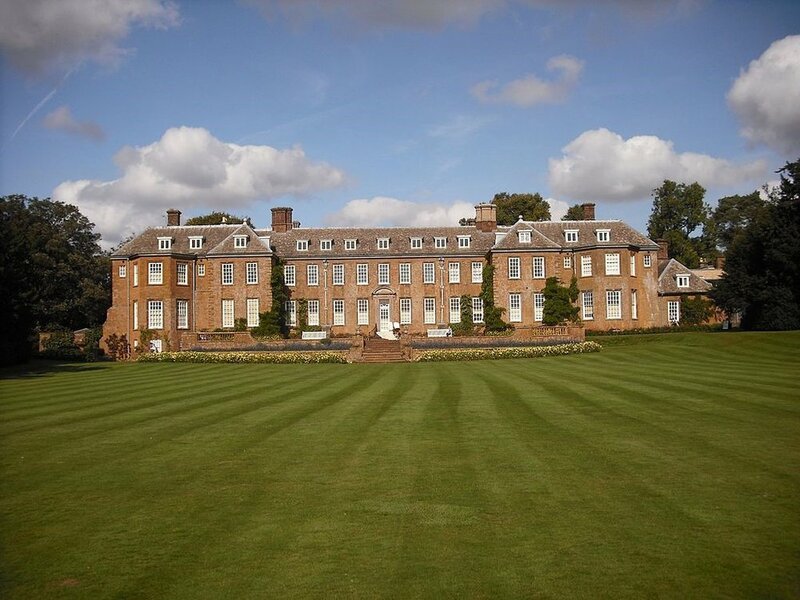 Upton House is a National Trust country house in the village of Ratley in Warwickshire, about 7 miles from Banbury, Oxfordshire. A main attraction of Upton is the garden. A lawn, with huge cedar trees, that sweeps gently down from the house and below the lawn an extensive terraced garden which features a beautiful kitchen garden. With lots of fun events and activities happening each month you’ll be sure of an exciting day out at Upton House and Gardens. 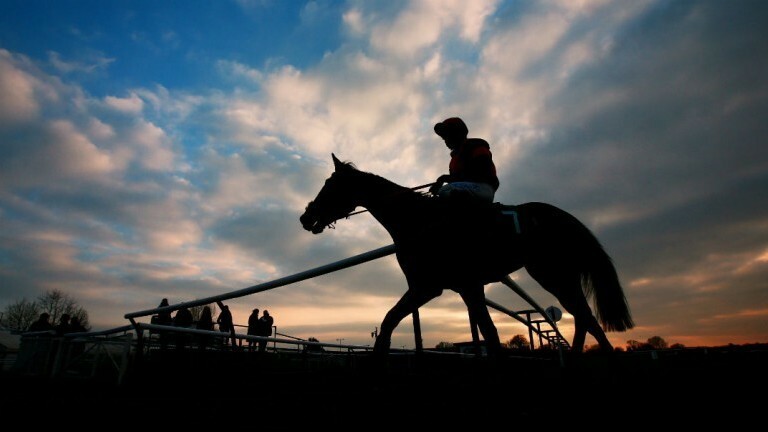 Warwick Racecourse is a horse racing course in Warwick, it is a National Hunt racing course, and has a programme of 25 meetings throughout the year, many of which are televised and has recently undergone a major refurbishment of its facilities. In the racecourse is a nine-hole golf course and a golf driving range. The area is a popular place for local people to walk their dogs. There is parking next to the course and it is a five-minute walk away from the town centre. Banbury Museum is a local museum in the town of Banbury, north Oxfordshire. The museum is located in the centre of Banbury by the Oxford Canal. A family friendly museum located next to the idyllic canal side. The Museum offers an extensive programme of family friendly activities and facilities, including hands-on workshops suitable for all ages, from toddlers to adults. The British Motor Museum, formerly known as the Heritage Motor Centre, is a British motor museum in Warwickshire. 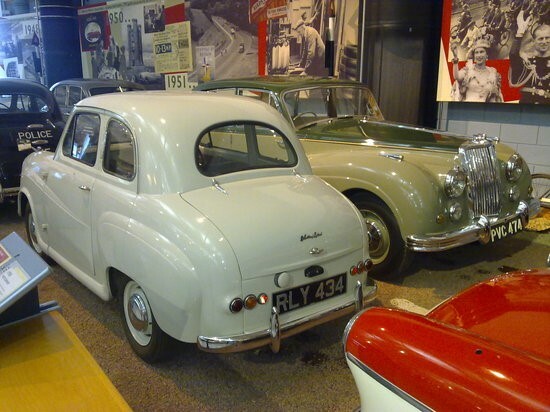 It has the world's Largest collection of historic British cars. With over 250 classic cars on display. Free tours and interactive family activities. An exciting day out for all the family! Broughton Castle is an overlooked gem! It is hard to imagine a more perfect setting for an historic house. The lovely moat and the open fields beyond contrive to give Broughton an air of timeless beauty. It is located near Banbury in North Oxfordshire and set in parkland and built of the rich local Hornton ironstone, it was selected by Simon Jenkins as one of only twenty to be awarded five stars in his book England’s Thousand Best Houses. A real treat! harlecote Park is a grand 16th-century country house, surrounded by its own deer park, on the banks of the River Avon near Wellesbourne. Stroll through the gardens that Mary Elizabeth loved, picnic, play and wander through the wider parkland, inspired by ‘Capability’ Brown, with views across the river Avon. The kitchen is brought to life in cooking and costume and discover the stables which house the family’s carriage collection, each with its own story to tell. Award-winning Gallery & Museum in the Warwickshire countryside. Compton Verney is an independent national art gallery and ‘Capability’ Brown landscaped park located 9 miles from Stratford-upon-Avon. Providing an inspiring and entertaining cultural day out for visitors of all ages and backgrounds – whether to see our highly-acclaimed art exhibitions, to take part in our wide-ranging activities, or to enjoy the diverse features of our extensive historic landscape. 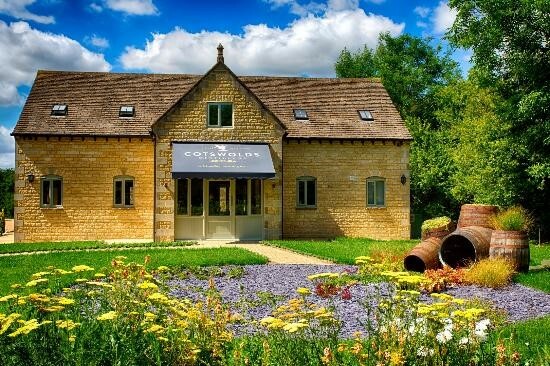 Cotswolds Distillery offer Tours and Tastings at their beautiful distillery at Stourton, near Shipston-on-Stour in the heart of the Cotswolds. Learn about the art of traditional distillation in small batches and tour the working distillery. The tour covers both whisky and gin making and afterwards you can relax in the tasting room where one of the experts will pour you several tastes of different spirits. Set in the beautiful Warwickshire countryside, Hatton Farm Village offers a wonderful family day out with a fun packed programme of farmyard animals adventure play, fun fair rides, children’s shows, falconry displays and tractor rides. With a seasonally changing programme there is always something new to see and do from new born lambs at our February Frolics event, Easter Egg and Bunny Hunts, an A-maize-ing Maze in the summer, free pumpkins during our Pumpkin Week and Santa’s Grotto at Christmas. Sitting in its beautiful, mellow Cotswold Hills landscape, Hook Norton is a proudly independent and passionate family business that takes the very best of its handcrafted brewing heritage and combines it with a thoroughly modern approach, to create a range of real ales for today’s drinkers to enjoy. To see how they produce their fabulous range of award winning real ales and bottled beers why not book a tour! 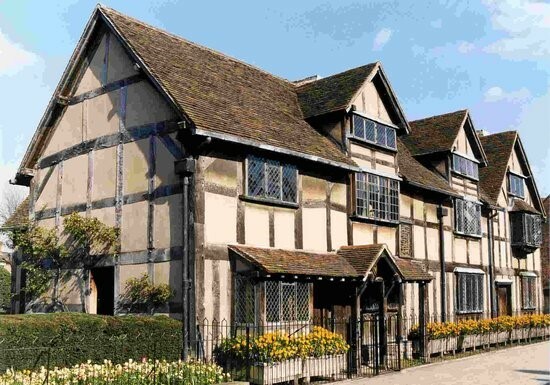 Discover the life and times of William Shakespeare across five unique properties in and around Stratford-upon-Avon and let your imagination run wild. Find out where he and his family lived, the places he visited, and gain a new perspective on life in the sixteenth and seventeenth centuries. You’ll be amazed just how much of Shakespeare’s world remains. The MAD Museum does what it says on the tin! 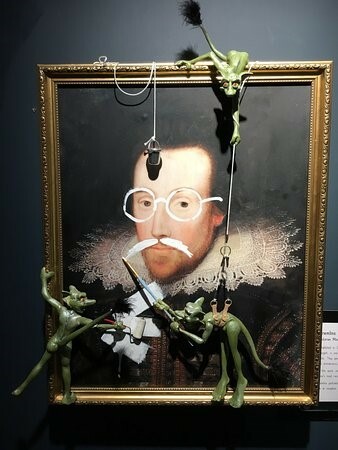 Based in the centre of Stratford upon Avon, this quirky attraction displays interactive pieces of mechanical art, in particular; kinetic art and automata. “MAD” stands for Mechanical Art and Design. If you’re not quite sure what mechanical art is all about, think of the machines and gismos used in Wallace and Gromit, Scrapheap Challenge and Chitty Chitty Bang Bang. As well as a lot of fun, The MAD Museum demonstrates inspirational creativity and clever, often witty design. In a nutshell if you like art, design, science and/or engineering, The MAD Museum is for you! Renowned around the world, the Royal Shakespeare Company performs throughout the year in Stratford-upon-Avon. One of the world’s best-known theatre ensembles, the company performs the works of Shakespeare, his contemporaries and new writing. Don’t have time to see a performance? Then why not simply enjoy the stunning views from the Tower, discover theatrical secrets on a Theatre Tour, spend time exploring the free exhibitions, simply relax by the River Avon with a coffee or kick back with a divine cocktail in the Rooftop Restaurant. Experience one thousand years of jaw-dropping history at Warwick Castle; great battles, ancient myths, spellbinding tales, pampered princesses and heroic knights. Built by William the Conqueror in 1068 Warwick Castle is a medieval castle situated in Warwick on a bend of the River Avon. Experience a Themed Banquet, get lost in the Horrible Histories Maze, prepared to be scared at the Castle Dungeon and new for 2017 ‘Wars of the Roses LIVE’ these are just a few of reasons to choose Warwick Castle for your family day out!